Hello All! 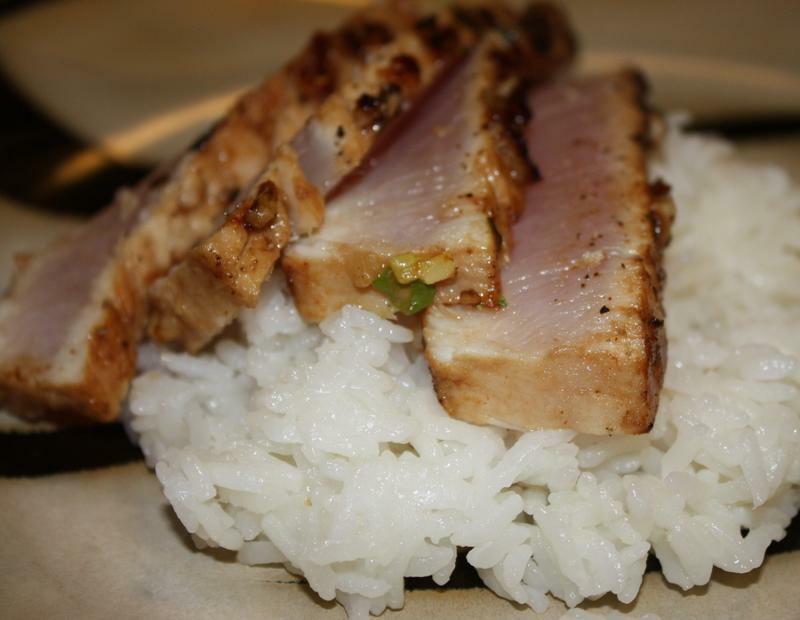 We're switching gears a bit this week, featuring the fresh Hawaiian albacore "tombo"
Hawaiian Albacore ~ Tombo When you say the word "albacore" around here, most people think of the local cold water tuna that appear off our Pacific coast in the summertime. 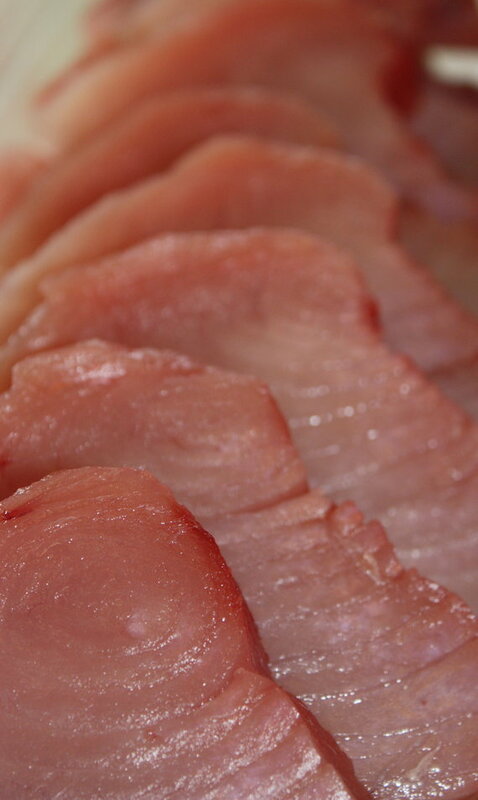 These tuna are the same species, yet quite different in culinary terms, from the tropical tuna by the same name. ½ cup Dijon mustard 2 T olive oil ¼ cup dry white wine 3-4 garlic cloves, minced 3 sprigs (about 1 T) finely chopped fresh oregano (or use dried if you must!) Salt and pepper to taste 6-8oz tombo steak per person Add all non-tuna ingredients to a bowl and mix vigorously with a whisk to combine well and get the oil emulsified. 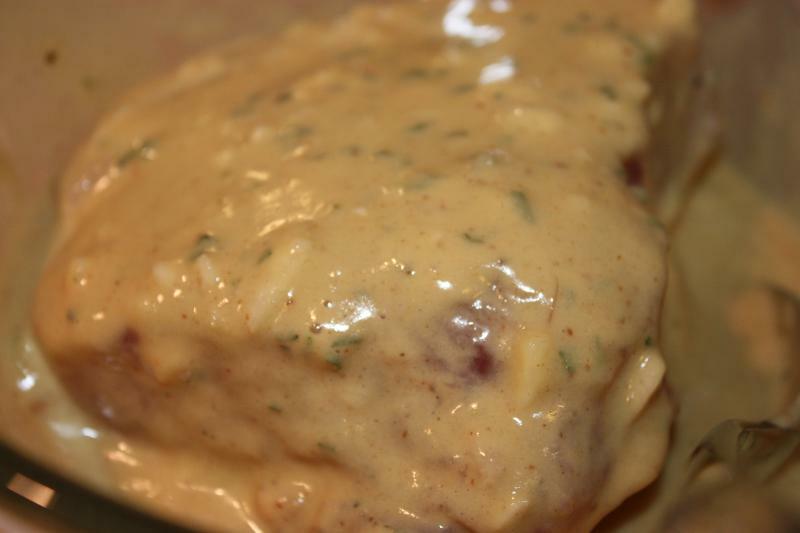 Lay your tuna steaks in the bowl, coat with the sauce and let sit for at least 40 minutes/up to 2 hours. Preheat a fry pan with 1 T vegetable oil on medium high heat. 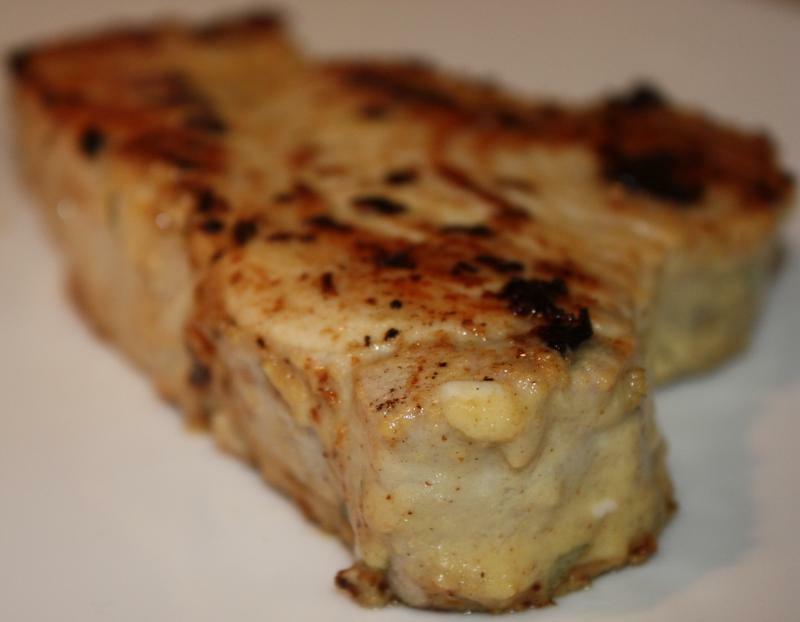 With a pair of tongs, remove the tuna steaks from the marinade, shake a bit to remove the excess sauce and place in the pan. Stand back and let them sizzle! When the steaks have browned (about 2-3 minutes) turn them over and cook an additional 2 minutes. Remove from pan and let the tuna rest on a cutting board for a moment. Slice against the grain and serve over rice, pasta or salad. p.s. If you totally blow it and your tuna turns up overcooked, don't cry over it too long. Intead, pull out a jar of mayo, some finely diced onion, celery and pickles and mix it all up in a bowl with your tuna. Slap it on some crusty bread to make the best tuna salad sandwich you've ever had. Crisis averted! (also a good plan for leftovers... ) This recipe is courtesy of our excellent friend Chef Clay at Roundbelly Catering. Contact Roundbelly to make this recipe (along with just about anything else you can imagine) for your next catered event at 352-3727 or roundbellychef@gmail.com .